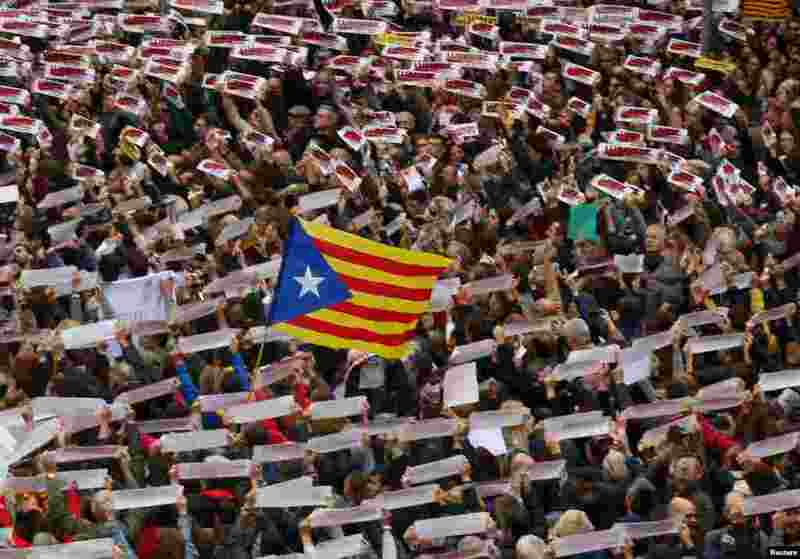 1 Protesters hold banners reading "Freedom Political Prisoners, We are Republic" as they gather in Sant Jaume square at a demonstration during a partial regional strike in Barcelona, Spain. 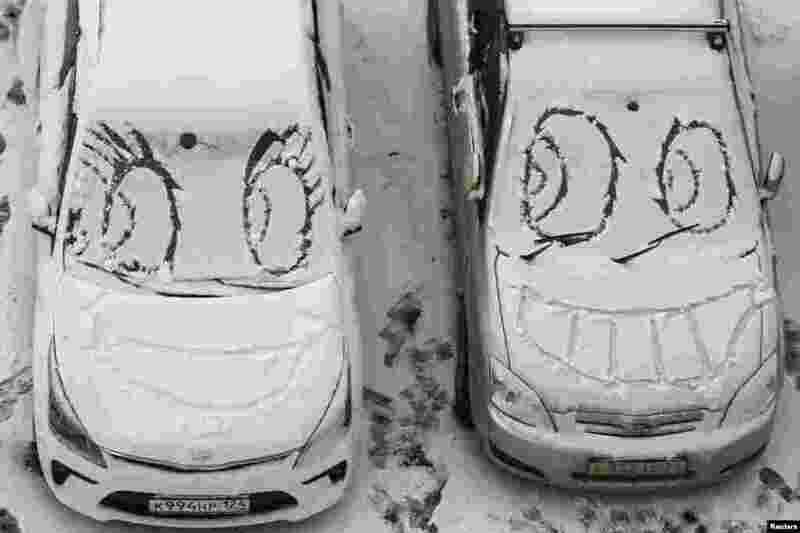 2 Faces are scrawled on cars covered with snow near a residential building in Krasnoyarsk, Russia. 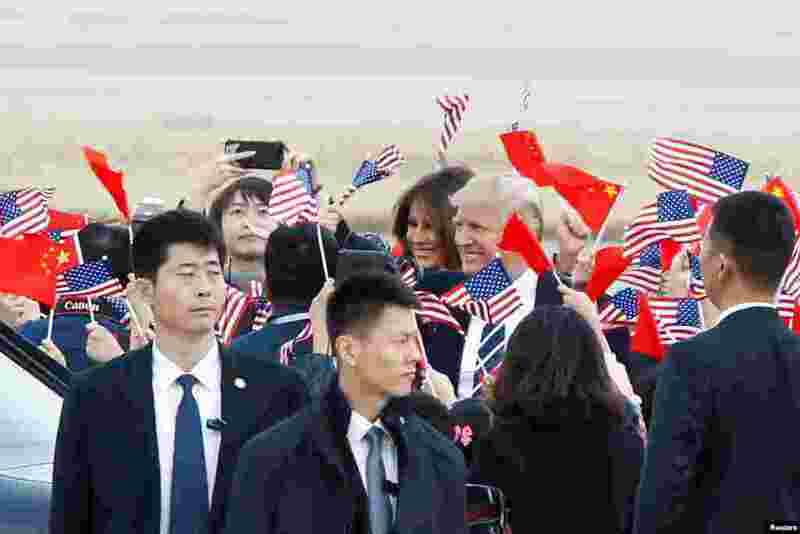 3 U.S. President Donald Trump and first lady Melania Trump arrive at Beijing airport, China. 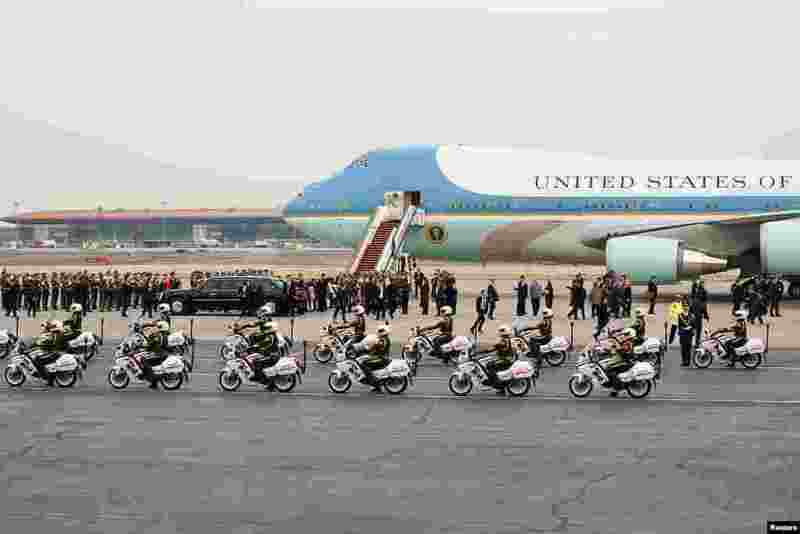 4 U.S. President Donald Trump and first lady Melania depart from the tarmac after their arrival at Beijing Capital Airport, Beijing.